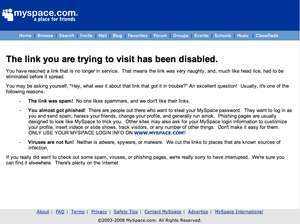 MySpace is supergay. Here's one more reason why. 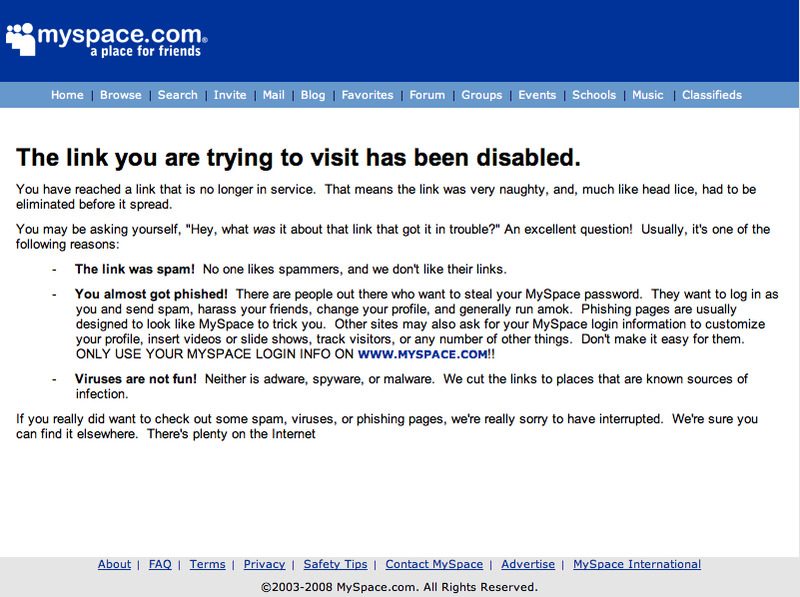 Apparently MySpace finds my opinion on things offensive? My Facebook links all work.